ELK GROVE, Calif. – November 19, 2018 – The Elk Grove Unified School District (EGUSD) elementary school staff await the registration of the district’s newest young students starting this January. 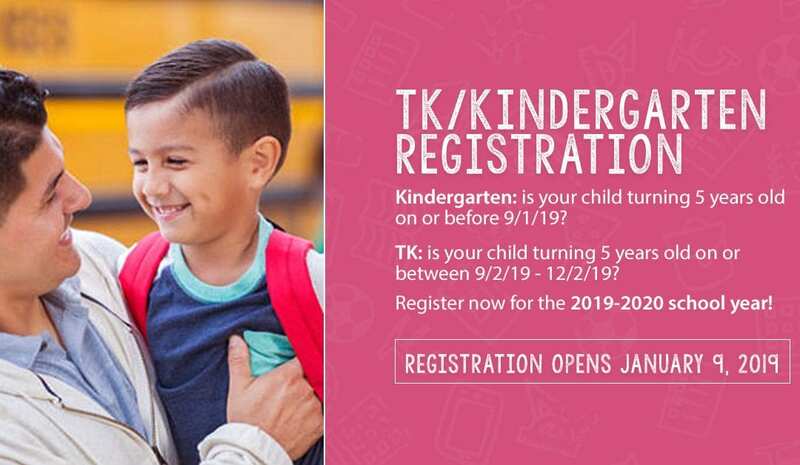 Parents of Kindergarten (K) children (age five years old on or before September 1, 2019) or Transitional Kindergarten (TK) children (age five years old on or between September 2 and December 2, 2019) and who live within the district’s boundaries can begin registering for TK or K on Wednesday, January 9, 2019 at all 42 EGUSD elementary schools. Registration materials can be picked up at all EGUSD elementary schools starting January 9th. New this year, parents of year-round/multi-track schools can download the Kindergarten registration materials from their school’s website beginning January 9th. Also for year-round/multi-track schools, as an added convenience, a new electronic randomized Kindergarten track selection process will take the place of time/date stamping of the registration materials. In order to receive a randomized Kindergarten track selection number, Kindergarten year-round/multi-track regsitration packets must be turned in by February 13, 2019. TK registration materials at all sites will continue to be time/date stamped when the registration materials are returned. With regard to traditional and modified-traditional Kindergarten registration priority and placement, priority will be given to packets returned on time, based on the time and date stamp. Although most families who turn in their registration materials early or by Wednesday, February 13, 2018 are likely to get into their home school, EGUSD is not able to guarantee placement for every child at their home school. Due to crowded conditions in Elk Grove Unified, there is a possibility that your child may be reassigned to another Elk Grove Unified elementary school.